Part robot competition part technology exhibition. It's a full day of robot fun for the entire family! This workshop is designed for 8-18 year olds. It will present basic team building and logic process skills. The FIRST Robotics Long Island Regional Competition (FRC), hosted by SBPLI, is held annually in March/April at Hofstra University, in Hempstead, New York. The competition brings together teams of students and their mentors from roughly 50 Long Island schools, schools from the Metropolitan area as well as visiting teams from around the country and abroad. Thank you for your interest in the Trinity College International Robot Contest. The Trinity College Robot Contest(s) started in 1994 as a small local robotics event and has grown to now include over 100 robot teams from all over the world. It is held annually at Trinity College's campus in Hartford, Connecticut USA. Registration is now open! We expect to welcome about 100 teams from all over the world. Will you be one of them? In and out of the classroom, students are hungry for MORE, and it is our responsibility to provide every child with the opportunity to succeed in school and in their careers. iMAGINE Upstate was created to help bring STEAM experiences and STEM education into the community. The iMAGINE Upstate festival is a 10-day festival held annually across the upstate region of South Carolina. Our signature event is the iMAGINE Upstate STEAM Fest, which will be held on April 1, 2017 in the West End of downtown Greenville! STEAM Fest is your day to see what STEM careers in South Carolina are all about! The 2017 Mineral Area VEX Challenge is an event that takes place during the annual Robot and Technology Expo on the campus of Mineral Area College. It is an opportunity for youth to demonstrate their learning, celebrate their accomplishments and interact with others who share their interest in robotics and programming. 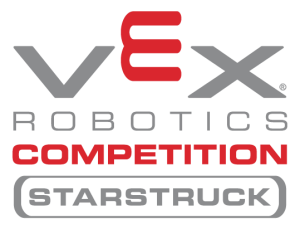 There will be a VEX Starstruck competition, VEX Skills Challenge Competitions,a Robofest Game Competition, Robofest Exhibition opportunity, a Scratch Programming Competition and a LEGO building competition. Youth may participate in one, some or all of the events. Many organizations have been invited to set up demonstrations and hands-on activities related to robotics, technology, and programming. This event, which takes place late in the competition season is great for teams who want a challenging final competition experience before attending the World Championships, or a relaxed event with lots of fun, extra activities. There's something for everyone. This VEX event is a great opportunity for new teams to compete for the first time and for veteran teams to get together and learn from each other. This will be the last Event of the VEX Robotics 2016-2017 season in New Hampshire. It will be a warm up fpr all the teams attending the CREATE US Open and the VEX World Championship. 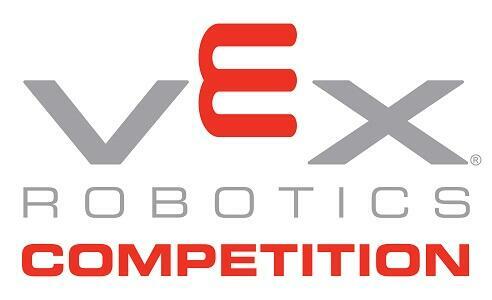 This VEX IQ event is a great opportunity for new teams to compete for the first time and for veteran teams to get together and learn from each other. Swing like a monkey, fly like a bat, hop like a frog into the FIRST LEGO League Jr. CREATURE CRAZE season. Whether in zoos, on the farm, or in your own back yard, we all encounter animals in our lives. In the 2016-2017 CREATURE CRAZE Challenge, over 40,000 children will dive into the wonders of the animal kingdom. What will you learn about our furry, feathered, and finned friends? Hosted by FIRST LEGO League Jr.
Middle and high school teams use a modular robotics platform - powered by Android technology - to design, build, and compete. This season's challenge is VELOCITY VORTEX presented by Qualcomm and includes a 30 second autonomous period followed by a 2 minute driver controlled period. Students learn to use tools, wheels, gears and motors to design and build a radio-controlled robot. 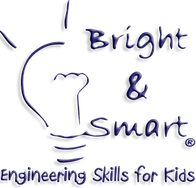 These workshops are designed for kids both with or without prior experience in robotics. Transform your understanding of robotics as we look at how robots work and why they are an important part of our daily lives. 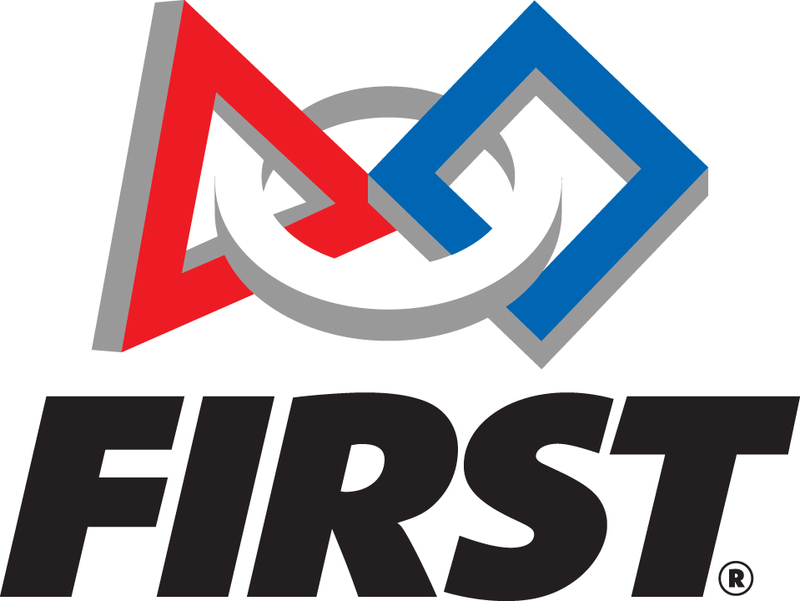 Watch demonstrations and participate in activities from IndianaFIRST, an organization dedicated to robotics and programs in the state of Indiana. Building on the Simsbury Public Library’s successful Innovation Fairs, the first Simsbury Mini Maker Faire event will be on Saturday, April 1, 2017 from 10:00 am to 4:00 pm. At the Library and adjacent grounds, Makers of all types will gather in Simsbury for a family-friendly showcase of invention, creativity and resourcefulness — a celebration of the Maker movement. What we will be doing: What is Arduino Some things Arduino can be used for How to use Arduino HANDS ON examples Modify & write Code Wrap-up & Giveaway! The Cultural Technology Development Lab will host an Arduino Day Show & Tell at the NM Museum of Natural History & Science, in Albuquerque NM. Join us in the MakeSpace for a new activity: Bot Center (engineer a scribble bot or design a robot friend)! 11am-3pm. FREE with admission. Students will build robots with Lego EV3 and program on the brick to control the robot. Students will also learn Kodu Game Lab to design and build their own game world, and use visual programming tool to create their own game. They will create, share games and have fun! Meet the versatile, open-source, user-friendly Arduino! In this beginner’s workshop, we’ll introduce you to this popular microcontroller, starting with its basic electronics components and concepts. Next, we’ll cover the specific programming functions used to operate these components. By the end of class, students will be able to assemble and operate an electronic circuit using the Arduino and its programming software. n the VEX Competitions, presented by the Robotics Education & Competition Foundation, teams of students are tasked with designing and building a robot to play against other teams from around the world in a game-based engineering challenge. Classroom STEM concepts are put to the test on the playing field as students learn lifelong skills in teamwork, leadership, communications, and more. Tournaments are held year-round at the regional, state, and national levels; local champions go on to compete against the best in the world at VEX Worlds each April! Welcome to the Miami-Dade County Youth Fair VRC Skills Challenge. We will have a Startruck Skills Tournament featuring two competition fields, a skills field, and a practice field. A maximum of 3 teams per organization are allowed. Teams need to arrive by 1:00 PM and will compete in Skills on a first come, first serve basis. Food items will be available from the Fair Cafe. Benicia Mini Maker Faire is a family friendly hand-on extravaganza for all ages. Bring the whole family for a day of cool projects, workshops, beautiful crafts, great food, music and more. All on the beautiful Benicia Middle School campus in Benicia, CA. LEARN about career opportunities in the engineering field and about career opportunities in fields from bridge and building design to the world of nanotechnology and biochemical. Learn about college curriculum offerings, admission requirements and financial aid information. MEET representatives of over 40 of the region’s leading learning institutions including Rutgers, Cornell, Columbia, Penn State, Villanova, RPI and SUNY. DISCOVER aisles of interactive displays and exhibits focusing on engineering and higher learning opportunities to help you meet the challenges of today’s economic uncertainties. Don’t miss this opportunity to take control of your educational future, visit this year’s Engineering EXPO. Learn . . . Meet . . . Discover! . . . You can be an engineer! The Explorers 351 robotics is an FLL like STEM program taught by the First team #2733 Pigmice from Cleveland high school.This all girls career focused BSA group will be lead by the Pigmice Outreach team for 4 week. The Pigmice will give the Explorers 351 and troop 351 a demonstration of their First robot in addition to giving them a tour of the workshop and showing them the basics of cad and programming. This event is a career academy expo being held at the Charleston Civic Center for 1400 high school students. The robotics team will be attending to give a presentation on the basic principles and importance of robotics. Thanks to 3D printing, you can quickly and easily create a physical object from a computer model, literally printing the part as it goes. This is an easy way to prototype your parts before machining or injection molding. In 3D printing fundamentals you will learn how to set up your 3D model for 3D printing. The class will cover different 3D printing settings, troubleshooting, and how to prevent common 3D printing problems. Come have fun playing with robots! It's free. Any students middle school through graduate school interested in learning how to program robots should join the fun. Each week we'll teach you how to get a robot to accomplish some goal, such as solving a maze, playing robot tag, following a light, etc. The goal is to simply have fun and learn robotics and programming along the way. Students do not need any technical background. We provide the robots, computers, and will teach you what you need to know. All we ask is that you are excited to learn and can attend most weeks. Founded by the Society of Manufacturing Engineers in 1986 as the Robotic Technology and Engineering Challenge under the guidance and inspiration of Tom Meravi and Dr. James Hannemann. Known as the National Robotics Challenge since 2005, this event is the longest continually operating robotics event in the United States, and is the premier educational event for open-platform robotics competition. The Tennessee TSA State Leadership Conference will be held on April 5-8, 2017 in beautiful Chattanooga, TN at the Chattanooga Convention Center. Please visit the state conference page as it will continually be updated with information regarding schedules, activities, and other information. Educators: Get an S3 Robot to keep, and a full day of hands-on Blockly visual programming instruction. This durable, popular robot is suitable for one-to-one use in 30–90 minute classroom sessions. With the S3 robot in a classroom, students have been known to stay in during breaks so they can keep programming! All educators are invited to join this course, whether you are part of the Chicago Catholic school system, public schools, or are an at-home educator. You will be provided a new S3 robot at the course—it is yours to program and yours to keep. Google Blockly setup for the S3 robot Visual programming in Blockly and text-based coding in C S3 robot hardware, on-board sensors, expansion port, and other capabilities Programming precision motor control, LED control, line following, infrared object avoidance, light following, sound and music, and artwork. Hacker port expansion for ultrasonic distance sensing, RF communication, and Sharpie pen-lifters Parallax tutorials, standards correlations, and an answer key for educators. The USC Viterbi Robotics Open House is a free event held every year during National Robotics Week. Reservations are required to get a start time for the self-paced visit to up to 20 robotics research laboratories. Morning times are reserved for students from K-12 schools, and the afternoon is open to the public as well as USC students, alumni, staff, faculty. Everyone is welcome to explore the campus before or after touring the labs, and the California Science Center is within walking distance if schools want to double up on field trips. Robotics Open House information, lesson plans for all K-12 ages, and videos can be found on our website at https://viterbipk12.usc.edu/research/robotics-openhouse/ Connect with USC VAST (Viterbi Adopt-a-School, Adopt-a-Teacher) on Facebook: www.facebook.com/ViterbiOutreach and Twitter: www.twitter.com/USCViterbiSTEM. The Polytechnic School at Arizona State University invites you to an open house session that gives you the opportunity to visit research focused robotics labs and explore a variety of amazing robots. Come see the youngest and smartest children in the USA as they launch their robot, RALF, for the visually impaired and present it to the public for the first time. This debut event for RALF is going to held at the Spark Lab inside the American History Museum in Washington DC. 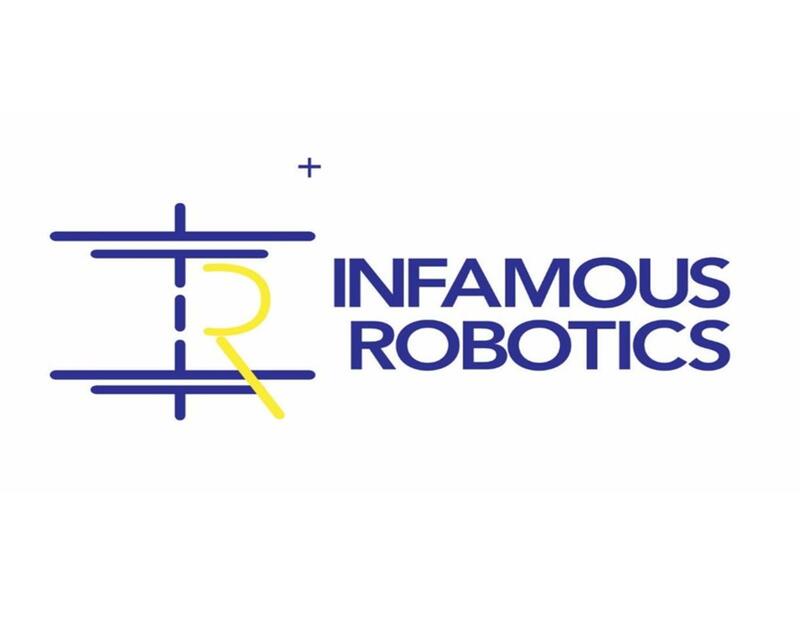 The students are part of a unique and groundbreaking club called, the Robotics Inventors Club, created and mentored by Mr. Roboto and his team at Infamous Robotics LLC (www.InfamousRobotics.com). The Robotics Inventors Club puts the power of inventing new robot ideas in the hands of children, with guidance from Infamous Robotics, the students design, build, test and launch their idea without any toy kits. It’s National Robotics Week and our preschool classroom is excited to showcase and share their learning about robots. Learn by doing and exploring. A variety of robots and activities will be available to support children discover answers to questions during their play. "What is a robot?" "What does it look like?" "What does it do?" "How does it do it?" Come familiarize yourself with Roombas, scribble bots, brush bots, dash and dot, ozobots and other simple programmable robots. Age appropriate literature about robots will also be available. During the Showcase event, robotics teams from the elementary and middle schools in Scotland County will share their EV3 robotics challenges. The students will have opportunities to complete other team challenge boards to test their skills. During this time students will demonstrate their programming skills, problem-solving skills, and teamwork. FTC team #7802 Challenge Accepted will be hosting robotics demonstrations at a day full of learning, creating and rock 'n' rolling at Scouts Rock at Graceland for Boy Scouts and Girl Scouts from around the country. The Alabama Robotics Competition is an event where students write programs that navigate their robot across a series of obstacle courses. Awards will be given out in several categories across multiple grade levels (elementary school, middle school, and high school). IRST LEGO League Jr. teams (ages 5-10) celebrate their accomplishments together and share their learning journeys by presenting their Show Me Posters and LEGO models at this season-culminating exposition. Older robotics teams often demonstrate at these events. FLL Jr. teams need to register for this free event by emailing JrFLL@coloradofirst.org with their team number, the number of kids on their team, and two coaches' names and e-mail addresses. A major part of our GCMC Robotics Extravaganza, which includes FIRST Youth robotics and commercial and hobby robotics exhibits, is the Southeast Combat Robotics “Battles at Makercon“. Combat Robots, or ‘Combots’, range in size from 150g (smaller than a cell phone) all the way up to 220lb. And while some are exquisitely designed pieces of engineering, others are built from scrap metal and parts of old wheelchairs and power-tools. At robot battlesour 2017 event, we’ll have four weight classes: 150g, 1lb, 3lb, 15lb . And don’t be fooled by the small scale – these are tiny lethal weapons! This competition is open to all college, high school, and recreational builders and spectators. All 15lb weight classes will be combined. The arena will be 7 square with a steel floor. The competition format will be Double Elimination for classes with 6 or more entrants and Round Robin for classes with 5 or fewer entrants. All weight classes will use a modified version of the SPARC Ruleset . Weigh in and registration will start at 9:00am, and matches will start at 11am at the MakerCon event arena. Game day of Get Excited About Robotics (GEAR) LEGO robotics competition for elementary and middle school students. Over 1000 participants from West Texas have been designing their robots to accomplish this year's Flippin' Out challenge autonomously since mid February. They are now competing for the highest score and other awards. Registration for the event has closed but spectators are welcome. RSSC is an exciting and fun experimental robotics society formed in the late 1970's to meet the demand in interest in robotics in Southern California which to this day keeps on growing!. We meet once a month on the second Saturday of the month at ﻿California State University Long Beach in the Engineering Technology (ET) building, room 241 . Our meetings start at 10 AM with classes, special interest groups on different robotics subjects from simple to very complex. Anyone interested in robotics and other latest technologies such as 3D printing, Arduino maker movement, Particle, Raspberry Pi, Robotis, NAO, ROS Robot Operating System, InMoov, Lego, Artificial Intelligence of any age group and skill level is welcome to come to our meetings! We also have presenters from student projects, Battlebot builders to Mars rover drivers, movie and TV commercial robot builders and leaders from the robotics community. A special day of robotics fun for kids and families. Our presenter partners demonstrate kid-friendly robotics concepts and real-world applications that inspire and amaze. Kids and families interact with robots of all shapes and sizes, and meet real engineers as well as students who build, program and compete with their robots. Each year we will announce a new challenge for the competition. This year, the challenge is Trash Trek. Teams must build robots to compete in the challenge and complete a research project related to the challenge. During the competition, teams must also appear before panel of judges. Students from across our district participate on a series of challenges using the Lego EV3 robotics platform. The focus of this event is to make computer science and robotics accessible to as many students as possible in our district. Washington Robotics Society and Titanium Titans Robotics are inviting Washington County LEGO robotics enthusiasts to kick-off National Robotics Week with MAZE Runner at Washington Crown Center. 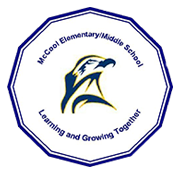 Each team must: consist of 2-4 students Grades 4th to 9th; be student led; have a supervising coach or adult present; bring an EV3 or NXT “task-bot” capable of navigating a maze. One EV3 or NXT ‘brain’ per robot will be allowed. No non-LEGO attachments allowed. The robots are coming—and they're here to help! Celebrate National Robotics Week by checking out the cool ‘bots designed by Chicago-area student and amateur teams, talking with University students about cutting-edge robotics research, watching mini robotics competitions and interacting with some state-of-the-art robots. Members of local robotics teams from CVTM Robotics will host the 2nd Annual Champlain Valley Robot Expo featuring robot and 3D printing demonstrations, along with additional robot themed activities. FTC 6966, FTC 8527, FLL 2211, FLL 2212, & FLL 2213 will be joined by area makers and the Adirondack & Lake Champlain Railroad Group for a day filled with family friendly activities. Maker Faire Miami is a gathering of fascinating, curious people who enjoy learning and who love sharing what they can do. From engineers to artists to scientists to crafters, Maker Faire is a venue to for these “makers” to show hobbies, experiments, projects. We call it the Greatest Show (& Tell) on Earth — a family-friendly showcase of invention, creativity, and resourcefulness. Glimpse the future and get inspired! The EXPO is a hands-on science, technology, engineering and math (STEM) exposition including a speaker series, hands-on exhibits, workshops and a student work showcase transforming Wellesley High School into an interactive science center for a day. In addition to the EXPO itself, there are a series of events leading up to the big day, followed by several new, exciting events afterwards. On April 8th the MVTHS ROBORAMS (F.I.R.S.T. robotics team 4187) will be hosting the 2nd annual robotics expo at the Times Square Mall in Mount Vernon, IL. An open Sumobot tournament will start at 11:00 am. Student built robots will be on display and demonstrating their talents. Experience a fun-filled future through the technology of robots. Build, program, and experiment with a wide variety of robots in exciting missions and games. Celebrate National Robotics Week by hacking a robot at the Anchorage Makerspace! Come play with Arduino-based robots, take apart a Roomba and see how it works, control a Roomba from your laptop or Raspberry Pi, or fly a drone with the Ak.Tricksters! We don't have a schedule of events -- just stop by anytime during the day to check things out. If you have a robotics project of your own, please bring it along because we'd love to see it! You do NOT have to be a member to attend! This is open to everyone. Help the University of Rochester and Rochester Museum & Science Center celebrate National Robotics Week! See an exhibit about Robotics research that is happening at the University of Rochester's Robotics and Artificial Intelligence Laboratory.The exhibit will feature demonstrations of robot perception, motion planning, and human-robot interaction for mobile robots and robotic manipulators. Celebrate National Robotics Week 2017 with Quad City area FIRST Robotics teams! FIRST LEGO League Jr. Expo from 12:00-2:30. FIRST LEGO League, FIRST Tech Challenge, and FIRST Robotics Competition demonstrations from 12:00-3:00 pm. Enjoy engineering, fun and robots during the 23rd annual Fundamentals of Engineering for Honors Robot Competition! First-year engineering students at The Ohio State University will showcase their cornerstone design projects in the Fundamentals of Engineering for Honors Program (FEH) robot competition at the Recreation and Physical Activity Center (RPAC). The university community and public are invited to watch student teams compete to see who has designed the best autonomous robot to meet the design competition specifications. The competition requires each team of three to four students to design, build and program an autonomous robot using creativity and engineering principles. A significant portion of their assignment involves planning, managing and documenting their work on the project. Hosted by Exploding Bacon at the Downtown Orlando Library. The profits from the event will be donated to the Downtown Orlando Public Library for STEM Activites for youth programs at the library. All science lovers are welcome to spend a fun-filled day learning about what’s going on in space and how it relates to us on the ground. With exhibitors from MSU, and lots of events for kids, you will not want to miss Astronomy Day 2017! Keynote speakers will include Jaime Waydo, Google[x] Systems Engineer on the Chauffeur Self-Driving Car Program and former Curiosity Rover Mobility Engineer and Angela Des Jardins, Director of the Montana Space Grant Consortium. Build skills for tomorrow’s industries. From photographers to real estate agents, drones are fast becoming an essential tool in dozens of industries. Young or young at heart, we invite you to join our master hobbyist, Tom Neff, as he walks you through drone kit creation and flight inside our World War II-era hangar. This half-day, hands-on, workshop will teach attendees the basics of drone flight, safety and best practices so you can successfully navigate your drone outside of the classroom environment! 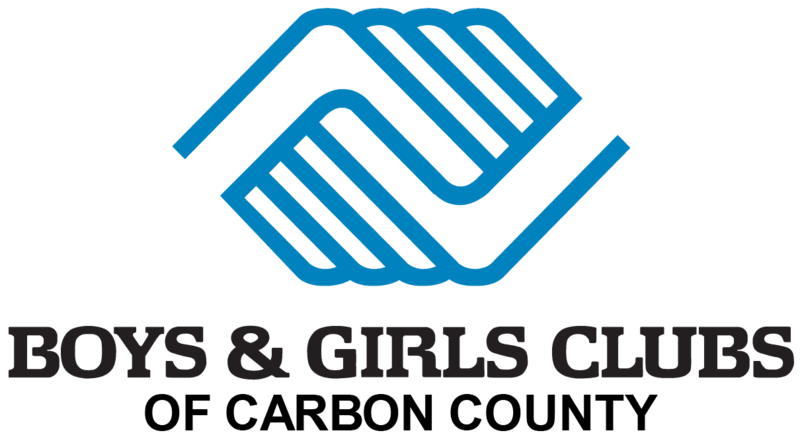 You are cordially invited to attend the Rocky Mountain and Front Range BEST annual fundraising event - Sunday, 9 April 2017, Boosting BEST. BEST is Boosting Engineering, Science and Technology and our primary activity is to sponsor and run an annual robotics competition for over 800 middle and high school teams in our area - at no cost to schools. Please share with us the passion of encouraging students to participate in pursuits related to Science, Technology, Engineering and Math. Your participation will help our school teams "Build a Robot in Six Weeks; Inspire a Youth for a Lifetime." You can learn much more at our websites: www.rmbest.org and www.frbest.org. 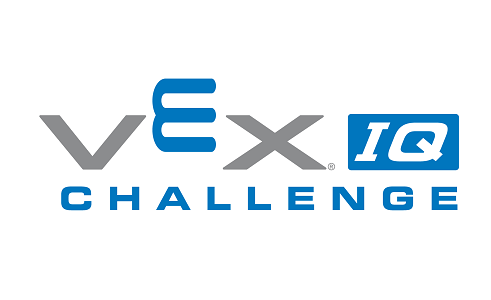 5 Teams are Preparing to compete at the VEX-IQ World Championships beginning on April 22. During National Robotics Weeks those students will demonstrate their robots to other students. Students who have not participated in robotics this year will have an opportunity to do teamwork challenges! Using a special set of Lego Bricks and a curriculum especially designed for our campers, your child will learn how to build and program robots in a collaborative, team-oriented environment. Through this program, campers will explore STEAM topics according to their age, make friends who share their passion, and create robots from day one. Celebrate National Robotics Week in Milwaukee by joining Discovery World and Rockwell Automation for a week-long robot and technology invasion! This event will feature robots of all shapes, sizes, and uses with a chance to meet their makers. Local FIRST Robotics Teams of all levels, university students, and professionals will be showcasing their engineering skills along with robots built for competition, industry, and entertainment. Join us for this spectacular week, and light the spark for a career path in robotics! And please stay tuned for more event information as it becomes available. Vision Tech Camps is a San Francisco Bay Area company offering one day robotics event at our Danvile and Berkeley location. Students interested in learning about Robotics engineering programs between the ages of 7-17 are welcome. Our STEMtacular Engineering and Robotics camp teaches students important STEM concepts and problem-solving skills while they create and design robots and solve engineering challenges. Students work in teams or pairs in a small group setting. 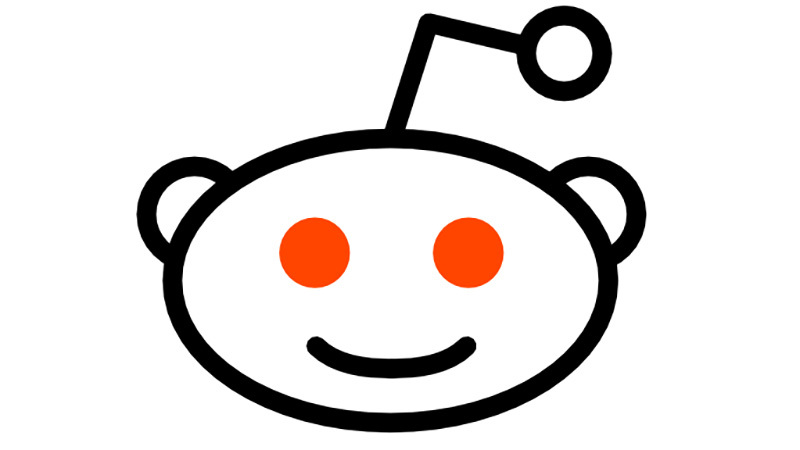 The Notre Dame Robotic Football Team will be doing an AMA (ask me anything) on Reddit at 2pm ET Thursday April 6. Innovation Works and TechShop Pittsburgh are partnering to offer this free, five-day robotics camp, taking place during Pittsburgh Public School's spring break and National Robotics Week. Ten students aged 12-18 will spend each day building a different robotic component, and on the last day these independently functioning robots will be put together to form one big one! Each day students will also get the opportunity to meet a different professional in the field of robotics. Students (middle school and higher) are invited to come and be inspired! During National Robotics week, we are opening our doors for students to learn about robotics STEM related platforms. Demonstrations will be provided by robotics companies from our local robotics ecosystem. Join us for an hour of fun with robotics! Participants will be able to build their own robots with a Lego robotics kit. Please register with the Children's Librarian. 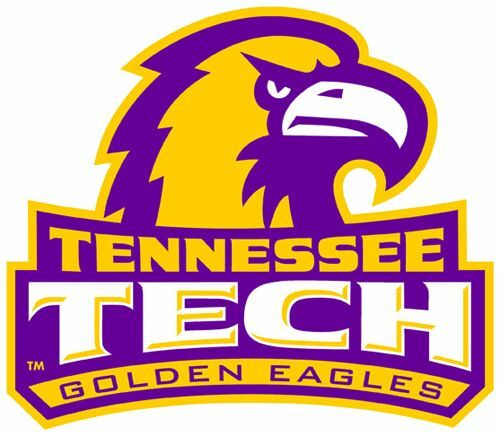 Tennessee Tech alumni Tristan Hill be we giving a robotics presentation and demonstration. There will be free food and drink, and we will be giving away 4 Elegoo Arduino Uno Project Super Starter Kits! Michigan Robotics Day 2017 is organized by National Center for Manufacturing Sciences (NCMS) at U of M in Building 18, North Campus Research Complex. Robofest is a program and registered trademark of Lawrence Technological University College of Arts and Sciences, Department of Math and Computer Science. This free event is open to all ages. Come experience the cutting-edge advances made by Michigan robotics' companies and research organizations, hear from leading minds in the field, and see how students are diving into the field at the high school and collegiate levels. The day will be filled with keynotes, demonstrations and excellent networking opportunities. Celebrate robot diversity and learn the fundamentals of writing programming/coding that controls different robots for different functions. Answer the question: Why are there so many different kinds of robots? 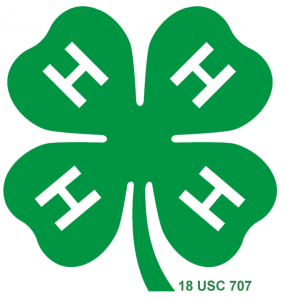 We will kick off our first 4-H robotics club meeting on Tuesday 4/11 with a group of 20 3rd - 6th graders at a small school in a rural community in eastern Iowa. MCHE 201: Introduction to Engineering Design at the University of Louisiana at Lafayette teaches mechanical design through a series of robotics project, ending in a final robotics contest among teams of 3-4 students. The theme of this year's contest is Mission to Mars. More information on the contest can be found at: http://www.ucs.louisiana.edu/~jev9637/MCHE201_MissionToMars.html and more information on the class can be found at: http://www.ucs.louisiana.edu/~jev9637/MCHE201.html We hope to see you at Blackham Coliseum on April 11. Come join us in building robots to race across a track competing for prizes! Participants will form a small group and program Lego Mindstorms and Arduino controlled boebots. There will be 3D printed trophies for winners, and there will be free food and drink, and we will be giving away 4 Elegoo Arduino Uno Project Super Starter Kits! Our STEM Fair will feature science projects, engineering projects and Robotics. Students will be working on Robotics for the month of April to showcase. The RCX, Robo Challenge Xtreme, State Competition is an annual event held at Rupp Arena. It brings the top 60 teams from all around the state of Kentucky, ranging from elementary to high school age, to compete. Aiming to introduce STEM to students of all ages, RCX combines robot technology with LEGOs in a fun yet challenging way. Students must work as teams to accomplish activities designed to strengthen their teamwork skills, communication skills, computer programming and problem solving skills. Did you know that we are now the largest and longest running National Robotics Week event! Come and meet more than 40 different robots from all walks of life, industrial, educational, service, and home robots. Even humanoids! Join robotics researchers and undergraduate students in the NAS Lab at Michigan Tech for a live tour. Watch as students navigate their mini car robots through a microgrid obstacle simulation. Which design will do the best? Find out by joining in through Facebook Live and Twitter #mtulive. Celebrate National Robotics Week and witness some of today's most leading edge robotic technology, turning insight into innovation. Drop in any time to check out all the different types of robots the library has to offer! Play with our Dash Robots, Spheros, Ozobots, Mecchanoids, and watch our Lego Robots in action! The MHS team will be inviting the community in to come check out what it takes to have a FIRST robotics team, featuring coding, mechanical building, electrical wiring, and design and engineering. Students on the team will demonstrate the skills needed to design and build a robot. Celebrate National Robotics Week by joining Bing Jiang as she discusses the impact robotics competitions have on K-12 education. In this talk, Ms. Jiang will share her experience at Rolling Robots on the growth of children through participation in their programs, and share how young children learn using robots. ABOUT THE SPEAKER: Bing Jiang is the co-founder and CEO of Rolling Robots, Inc. – a Los Angeles-based kids tech and robotics playgrounds where kids make and code robots to learn the STEM-related skills. After receiving her master degree in the field of Physics, Bing Jiang enjoyed a successful career working as a technical engineer and engineering manager at the Boeing Company. She has also served as a teacher and mentor at NFTE – Network for Teaching Entrepreneurship. And recently she became a Goldman Sachs 10K Small Business Development Scholar at Babson College. As the pioneer in STEM education, she led the growth Rolling Robots from one to three locations in Los Angeles area severing thousand of children from age 4 to 14 each year in forms of robot building birthday parties, Robotics and STEM after school workshops and summer camps. Rolling Robots has trained many VEX Robotics Competition Teams since 2013 and the Middle School Team has won the Excellence Award (the highest award) in VEX Robotics World Championship in 2015. Come join the Autonomous Robotics Club in a night of fun and games! This is a great chance to meet other people involved with robotics! There will be free food and drink, and we will be giving away 4 Elegoo Arduino Uno Project Super Starter Kits! The eighth annual National Robotics Week event will be held April 8-16, 2017. Georgia Tech’s open house will be held from 9:00 a.m. to 3:00 p.m. on Thursday, April 13. 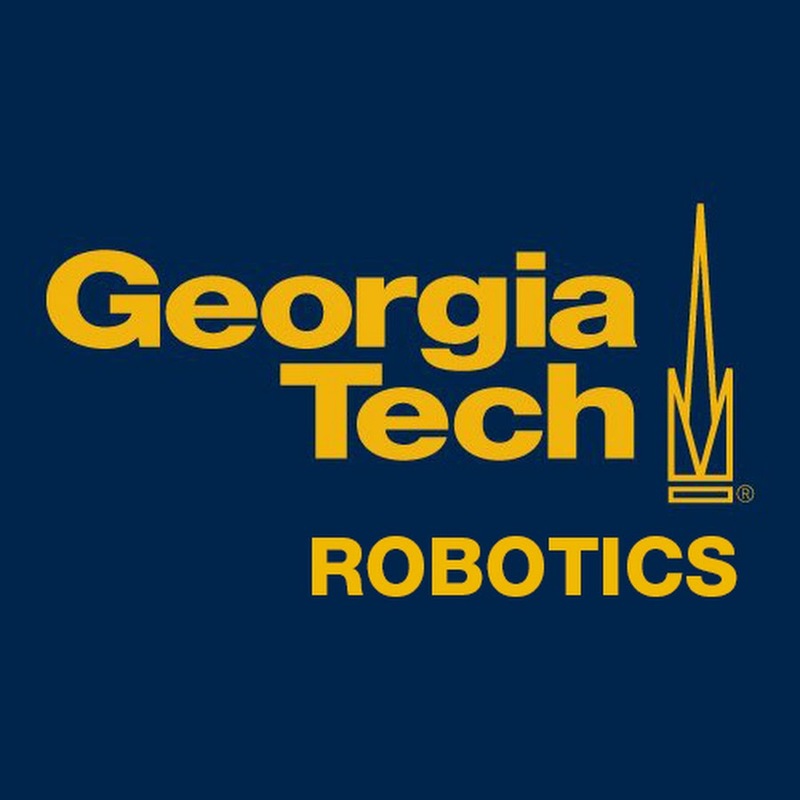 Since the launch of National Robotics Week in 2010, Georgia Tech has participated annually in the event by sponsoring an open house and conducting lab tours and robot demonstrations for middle and high school students and other members of the community. Sponsored by Georgia Tech’s Institute for Robotics and Intelligent Machines (IRIM), our 2017 event promises to be even more exciting than last year, including demos of new robots that have not been featured in previous years. All participants in the morning tours should check in at the registration area, located in the atrium of the Ford Environmental Science and Technology Building (ES&T). The Ford ES&T Bldg. is one of four buildings in Georgia Tech’s Biotechnology Campus, located on the corner of Ferst Drive and Atlantic Drive. Signs will be posted to guide participants to the building. Schedule Guests attending both the morning and afternoon sessions will tour different robotics labs; the sessions are not duplicates. 9:00 Check-in for Tours Begins (Ford ES&T Bldg., First Floor Atrium—see location details above) 9:30 Tours Depart—Morning Session 11:45 Lunch (Ford ES&T Bldg., L1 Atrium—see location details above) 12:45 Check-in for Tours Begins (Ford ES&T Bldg., First Floor Atrium—see location details above) 1:00 Tours Depart—Afternoon Session 3:00 Event Concludes Registration Details PLEASE NOTE: • Registration is limited and submissions will be accepted on a first-come, first-served basis. Please complete the registration form early to ensure you, your student, or student group can be accommodated. • When registration has reached the maximum number of attendees, the registration form will be turned off. At that time, you are welcome to contact us by email at NRW@robotics.gatech.edu to be placed on our waiting list. • We are unable to accommodate students enrolled in pre-K or K-5 programs or children who have not yet reached pre-K age. • Georgia Tech faculty, staff, and students—as well as adult members of the community—are welcome to attend. Please email NRW@robotics.gatech.edu to register. These guests do not need to complete the registration form below; however, they will need to complete the Model Release Form in advance or at the event. Required Consent Forms To attend the event, each student must have a parent or legal guardian complete a Parental Release Form, related to liability, and a Model Release Form, related to the use of photographs and video footage taken during the event. Chaperones should also complete the Model Release Form. These forms may be collected, scanned, and emailed in one file to NRW@robotics.gatech.edu prior to the event, or the primary point of contact may present paper copies of the signed forms during check in. Join the Autonomous Robotics Club on Centennial Plaza for a robotics demonstration! We will be showing off all of our projects for the year and answering questions people may have. Cisco Spark Robotics, Cisco Systems Inc.
Instructor Josh King will teach a course instructing Cisco Engineers to build rover robots using Raspberry Pi, Linux, and Python - all controlled by Cisco Spark! To celebrate National Robotics Week (April 8-16) FLATE is hosting a robotics open house at Hillsborough Community College in Brandon. The open house will be on Thursday, April 13 from 3-6 p.m., and will feature a number of activities and stations geared to spark local students’ interest in robotics and STEM education and related career pathways. Featured activities include: programming a robotic arm and EV3 robots, learning to operate a 3D printer, watching a demo of an electric car, meeting local robotics teams-including a demo of a 5ft humanoid robot, learning about the engineering technology program at HCC and other Florida colleges, meeting local manufacturers, and getting up-close and personal with Jane, FLATE’s humanoid robot! Beginning robotics, students (grades 2-5) will build and program a pair of dancing birds. Do you what to know how to use an Arduino microcontroller for your projects? No previous programming knowledge required. The RealBotics engineers will explain and demonstration everything you need to start writing your own code and using an Arduino UNO. Presenting special guest speaker, Ken Goldberg from UC Berkeley AUTOLAB, plus an expert panel including; Jeff McAlvay from Tempo Automation Dr Harsha Prahlad from Grabit Paul Ekas from Sake Robotics The New Wave in Robot Grasping Ken Goldberg, UC Berkeley Despite 50 years of research, robots are still remarkably clumsy. I will present what I see as three "waves" in methodology. The first wave, which is still dominant, uses analytic methods based on screw theory and assumes exact knowledge of pose, shape, and other properties (see the 2016 Handbook of Robotics). The relatively recent Second Wave is purely empirical: purely data driven approaches which learn grasp strategies from many examples using techniques such as reinforcement learning and hyperparametric function approximation (Deep Learning). The "New" wave will be hybrid methods that combine analytic models to bootstrap and tune empirical models, where data and code is exchanged via the Cloud using emerging advances in cloud computing, big data, deep learning, and the internet of things. This talk will present an overview and new results from my lab for applications in home decluttering, warehouse order fulfillment, and robot-assisted surgery. SIGBOT is the Chicago chapter of the Special Interest Group for Robotics. Join us in building whatever wacky robotics projects we come up with and discuss what is happening in the world of robots. The Southern California Robotics Symposium (SCR) is a one-day technical symposium that aims to bring together roboticists from around Southern California. With a high density of academic institutions, research centers, and industry players, SCR is expected to have a large audience with broad expertise and interests. It will also be a showcase for established and up-and-coming robot companies as well as a recruitment opportunity for local companies and startups. After hosting SCR 2016 last year, we hope to continue the success of this annual conference. The symposium will once again feature an amazing line-up of speakers from academia and industry, robotics demos, and industry booths. In addition, feature poster/demo sessions will foster discussion on recent developments in robotics. The CMANTIC Robotics Lab in the Computer Science Department, College of Information Science & Technology at the University of Nebraska, Omaha, is organizing a series of STEM-related outreach events for middle and high school students on April 14, 2017 (Friday) to celebrate National Robotics Week 2017. The events will be held at the Peter Kiewit Institute and are mainly targeted towards middle and high school students. Students of other grades are welcome to attend. Registration is free, but required; space is limited. No prior experience with robotics is required. Come, enjoy and learn! Makers across all disciplines, from art and design to technology and science have the opportunity to exhibit and discuss their unique talents in one environment at the annual Kent State Mini Maker Faire®, held at the University Library. Developed in collaboration between the Fashion School’s TechStyleLAB in the College of the Arts, the College of Architecture and Environmental Design, University Libraries and LaunchNET Kent State, the Kent State Mini Maker Faire offers a venue for students, faculty/staff and alumni, as well as the greater Kent community, to exhibit their work, explore new technologies and creative processes and talk firsthand with makers while sharing information and resources. Join us as we celebrate the 8th Annual National Robotics Week with hands-on challenges, demonstrations, and tours of IHMC's Robotics Lab at our new building in downtown Pensacola! The goal is to inspire and educate students in the fields of science, technology, engineering, and mathematics. This free, family-friendly event encourages scientific discovery while providing the opportunity to learn about scientific careers from actual research scientists and science educators. Robots on display will include Boston Dynamics' Atlas robot used in the DARPA Robotics Challenge, FastRunner and HexRunner high-speed prototypes, and IHMC's exoskeleton which recently competed in the first ever Cybathlon. Maker Faire is a gathering of fascinating, curious people who enjoy learning and who love sharing what they can do. From engineers to artists to scientists to crafters, Maker Faire is a venue to for these “makers” to show hobbies, experiments, projects. We call it the Greatest Show (& Tell) on Earth — a family-friendly showcase of invention, creativity, and resourcefulness. Glimpse the future and get inspired! Enter a robot or come watch! Previous years saw teams from many of Colorado's colleges and universities challenged to courses to simulate the challenges that the Mars rovers experience every day. High school teams and folks with general interests in robotics can also get involved. eXL Learning is excited to host “Recycled Robots”, a mash-up celebration of National Robotics Week (April 8-16) and Earth Day (April 22). This free family event will engage kids in engineering their very own robotic creations utilizing recycled materials. Parents can also join the fun by collaborating with their builder making for family fun. Join us for this unique celebration. Guests are invited to cheer for area high school teams in an exciting FIRST FTC robot scrimmage. Teams will share their design and building experiences in inspiring meet and greets. It's not a bird. It's not a plane. It's a drone! On Saturday (April 15), Purdue will host 48 pilots from schools across the nation during the first-ever Collegiate Drone Racing National Championship. The BMHS Robotics Team (FRC Team 4909 Bionics) is hosting an Hour of Code on Saturday, April 15, 2017 from 10:30 am to 12:00 pm. Attendees will be exposed to the world of computer science through interactive and age-appropriate tutorials that are an hour long. These engaging tutorials are led by students on the high school robotics team. All necessary equipment including laptops will be provided. The event is open to students in grades K-12 and will be held within the BMHS School Library. For more information, see the attached flyer. If planning to attend, please RSVP to team4909@gmail.com. Note: We will also have our 2017 Robotics Competition robot on display! A showcase for all of CWRUbotix's robots along with robotics themed activities. Design a simple video game or animation using the block-based programming language Scratch. The Salt Lake City Mini Maker Faire is a community-organized, family-friendly celebration featuring local do-it-yourself science, art, rockets, robots, crafts, technology, music, workshops, hands-on-activities, and more. It’s an event where people show what they are making and share what they are learning. Have you ever driven an underwater robot? You can at the Science Carnival and Robot Zoo! Play catch with a robot or play mind games with your friends. Launch rockets, taste a fresh batch of liquid nitrogen ice cream, hold a brain in your hands (really! ), and chat with scientists. Come early and explore everything!! The Middle TN Robotic Arts Society is having a Quick Trip and Line Following competition. Each competition will have a basic and advanced course. Autonomous robots must follow a black line for the line following competition. There will be two courses. A basic oval and an advanced course with multiple curves and breaks in the line. For the Quick Trip competition a robot must get from point A to point B and back in the quickest amount of time. For the advanced course two obstacles will be introduced. SeaPerch is an innovative underwater robotics program that equips teachers and students with the resources they need to build an underwater Remotely Operated Vehicle (ROV) in an in-school or out-of-school setting. Building a SeaPerch ROV teaches basic skills in ship and submarine design and encourages students to explore naval architecture and marine and ocean engineering principles. It also teaches basic science and engineering concepts and tool safety and technical procedures. Students learn important engineering and design skills and are exposed to all the exciting careers that are possible in naval architecture and naval, ocean, and marine engineering. At the Tidewater SeaPerch Challenge, students are provided the opportunity to put their ROVs into a pool and complete a series of challenges. 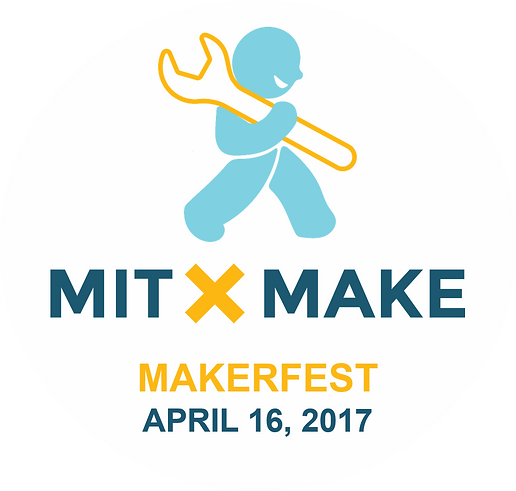 MITxMake is MIT’s student-led makerfest to celebrate maker culture. We connect, educate and entertain attendees with a showcase of innovation, creativity and technology from MIT students, regional makers and tech companies. We’re guided by five themes in making: Everyday Imagination, Turning Fiction into Reality, Playing with Elements, Being Kidults and Diversity in Making. During each grade level's weekly visit to the Library Media Center students will get an overview of what a robot consists of and will have hands on time with our set of Cubelets. Students will have the opportunity to free build or follow the "recipes". Create a unique moving art object engineered to move with gears, cams, linkages, and pulleys. During our annual Spring into Making event we deliver robotics workshops for K-8 grade students. Our programs range from MakeBot to LEGO Mindstorms. Our kids learn to design, build and code their robots. Our Friday Battlebot competition will be in full swing again this year. WeDo 2.0 is an all new Lego Education system which offers new motors and sensors as well as new robot designs and programming challenges. WeDo 2.0 pieces are a little smaller than the standard 1.0 and students will have more time to learn, build and grow on their own once the basic components have been constructed. Empow Studios brings technology, arts, and play together to help young learners discover and build on their creative talents. Empow's Tech & Design Camp is the one camp to rule them all: Video Game Design, Robotics, Animation, 3D Modeling & Printing, DJing, and other exciting projects are all fair game. Whether it’s building a working guitar made of LEGO MINDSTORMS, designing an action-packed video game to challenge friends with, or creating an animated mini-movie, the options are limitless and the learning doesn’t stop! We teach the nuts & bolts behind these subjects, and campers use their imagination to make their project come alive. This camp is for students in grades 2-8. Explore our robots gallery with Debbie Douglas, Science & Technology Curator. Limited to 25 participants per tour. Tickets available at 10:00 a.m. for the first tour, and 10:30 a.m. for the second on a first-come, first-served basis. Families with children under age 12 only. MBot is an arduino-based robot with motors, a gripper, and advanced sensors. In this class we'll use familiar Scratch programming to learn how to command MBot to move, change direction, avoid objects and more. Robotics with Blockly Professional Development Course, Parallax Inc. The NASA Swarmathon is a challenge to develop cooperative robotics to revolutionize space exploration. The Second Annual Swarmathon will occur April 18 – 20, 2017 at NASA Kennedy Space Center. Students from Minority Serving Universities and Community Colleges will compete. Students are challenged to develop the most effective and efficient search algorithms for robotic swarms. Swarmathon participation: (1) improves a student’s skills in robotics and computer science and (2) further advances technology for future NASA space exploration missions. The competition is full in terms of teams, but the general competition is welcome and encouraged to come check out this free event. During this two-hour hands-on workshop, participants will use block programming to build thier own smart device. Walk away with your own high tech accessories developed by MIT graduate student, Larissa Neitner. Come explore, build, and code! No experience is needed during this engineering meets wearable session. This program is intended for young women ages 12-15. EX Worlds 2017, presented by the Northrop Grumman Foundation, brings together top robotics teams in the VEX IQ Challenge, VEX Robotics Competition, and VEX U under one roof to celebrate their accomplishments and participate with the best teams from around the world. VEX Worlds will include top teams from events happening in cities around the world from June 2016 to March 2017.